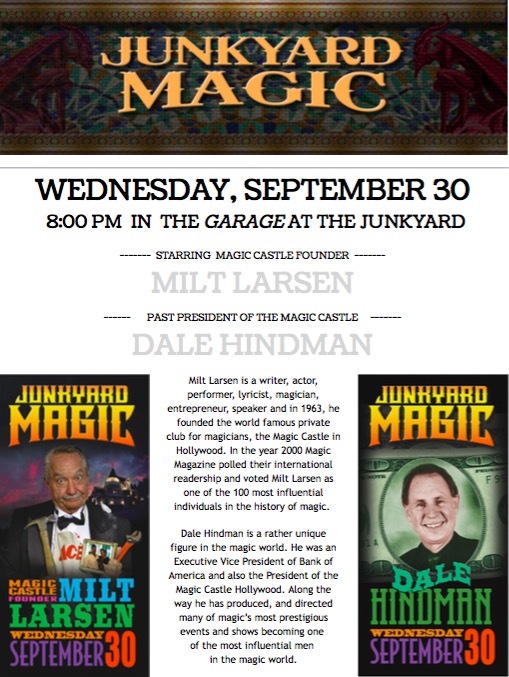 Catch the legendary Milt Larsen at Junkyard Magic on the 30th September. Catch a great evening of entertainment at…..
Have you ever seen the Magical Carpenter performing live and in person? 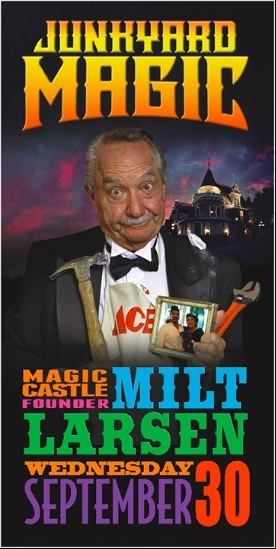 Why not make a trip out to the great intimate showroom at the Junkyard Grill in Simi Valley and catch Milt Larsen performing his hysterical magic act at Junkyard Magic on Wednesday 30th at 8.00 pm. Appearing on the bill with Milt will be Dale Hindman. It should be a really great evening of magic and fun. ~ by Nick Lewin on September 23, 2015.